Since Eat or Heat started in November 2011, we have seen a steady rise in our referrals. 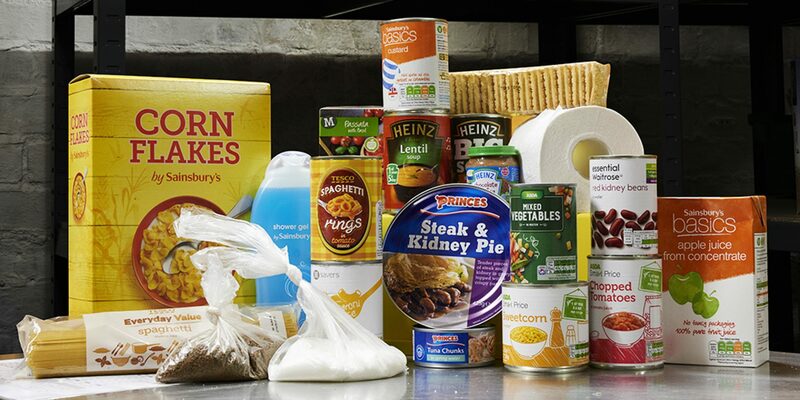 There have been reports recently, notably by the Joseph Rowntree foundation, that show poverty in the UK is on the rise. Here are our latest statistics that show how the demand for our service is rising. 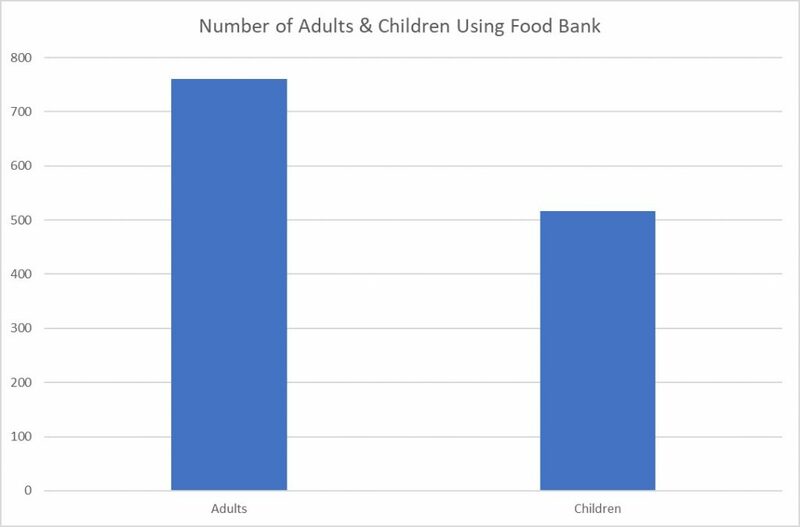 The statistics are for the year 1st April 2017 to 31st March 2018, unless otherwise stated. Approximately 8790 meals were handed out, plus fourth referrals and emergency bags. There were over 600 first referrals last year, this equates to approximately 5500 meals. Our referrals come from many organisations. 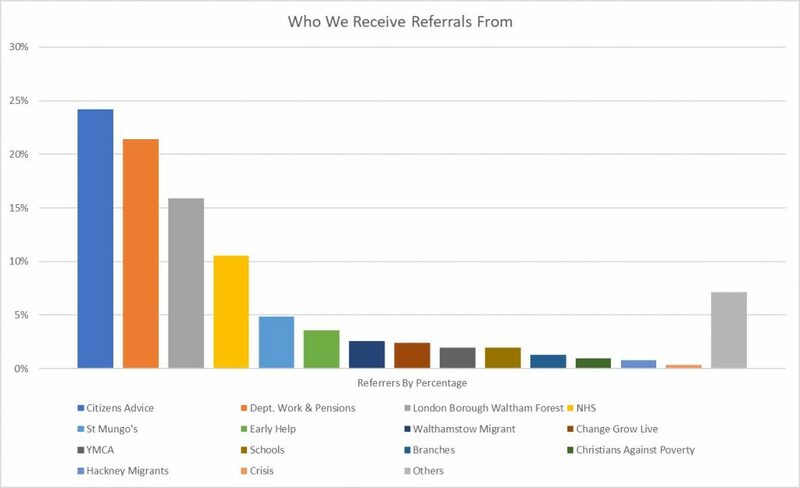 The top three referrers are Citizens Advice, Department for Work and Pensions and London Borough of Waltham Forest. 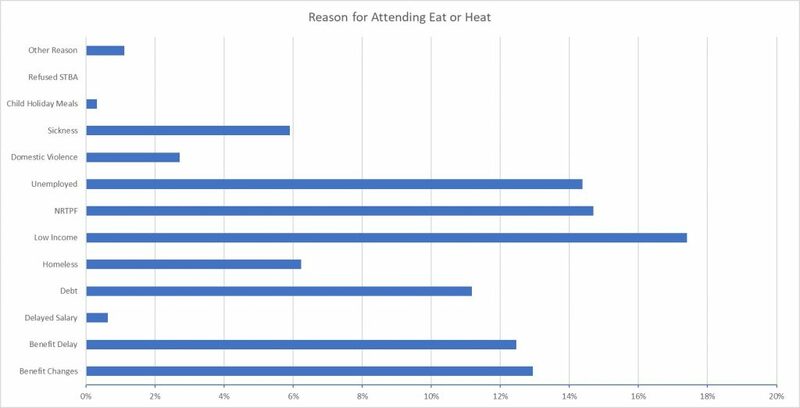 Low income is the main reason people are referred to Eat or Heat. This includes those who are working, but still can’t make ends meet. These figures are first referrals only. They do not include subsequent referrals. 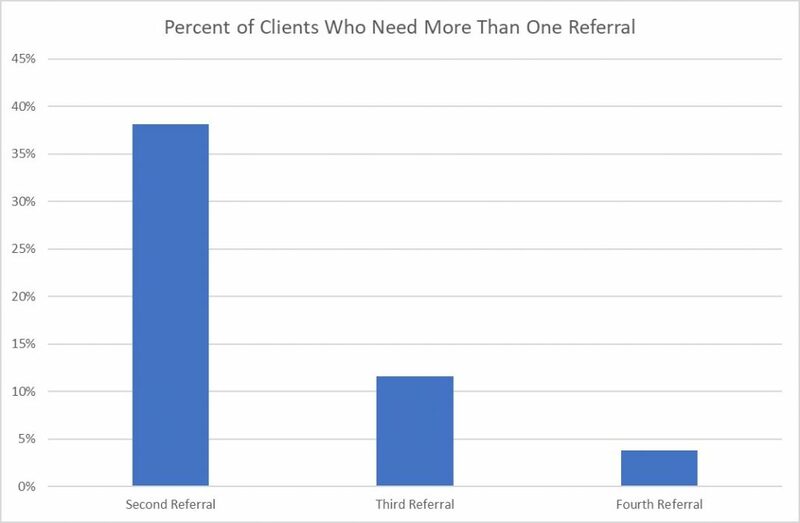 Percentage of people who need second, third and fourth referrals. 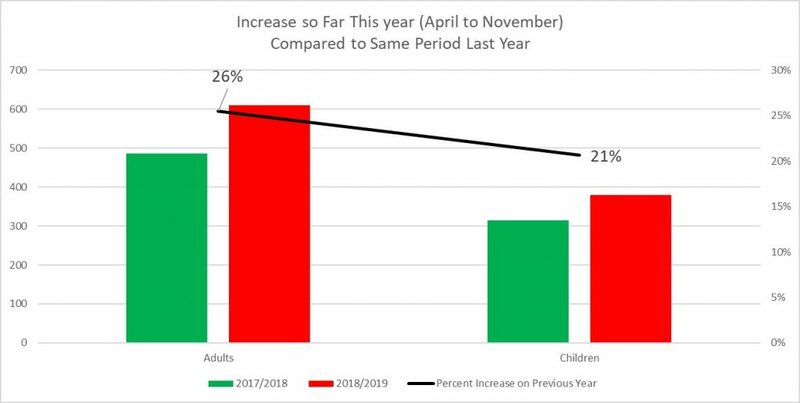 The following charts show the increases so far this year 1st April 2018 to November 2018, compared to the same period in previous years. 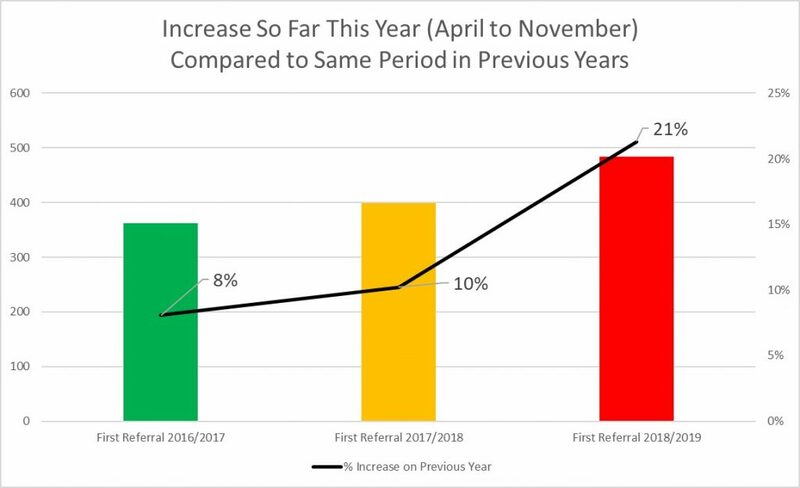 A 21% rise in referrals so far this year. At Eat or Heat we knew we were getting busier, but even we were shocked at just how much the referrals were rising. On behalf of our clients, we thank all our supporters, referrers, donors and volunteers for the amazing response to our regular pleas for help. You are all amazing!